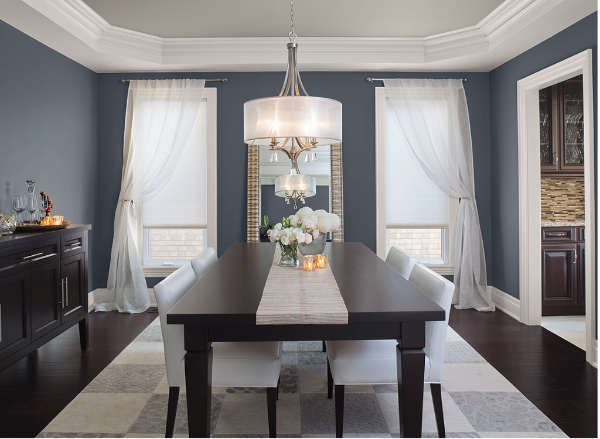 Dramatic grey-blue walls complemented by a taupe ceiling create a striking and stately room. When painting your interior, don't forget to look up! The atmosphere and impact of a room can change dramatically when you add a little colour to the so-called and often-forgotten fifth wall. After all, the ceiling is probably the largest expanse of uninterrupted space in a room, so its colour can have a real impact on the room's ambiance. Today, we want to inspire you with some gorgeous painted ceilings - some subtle and complementary, others more dramatic and bold. This peaceful kitchen uses complementary soft blues on the ceiling and cabinets, interspersed with white to frame the view beyond the expanse of windows. Softer complementary shades create a relaxing atmosphere in this serene bathroom. The subtle grey undertones of the wall colour blend harmoniously with the soft off-white used on the ceiling. This cheery yellow accent, which would typically be destined for a feature wall, here is used on the ceiling to emphasise its height and is paired with 2 stony greys. Picking a colour one shade darker for the ceiling creates an interesting focal point and even changes the geometry of a room. The way ceilings catch the natural light coming in from windows, as well as from lighting, means any imperfections can be really noticeable. Choosing an ultra-flat finish helps to hide any imperfections so the ceiling will appear flawless. 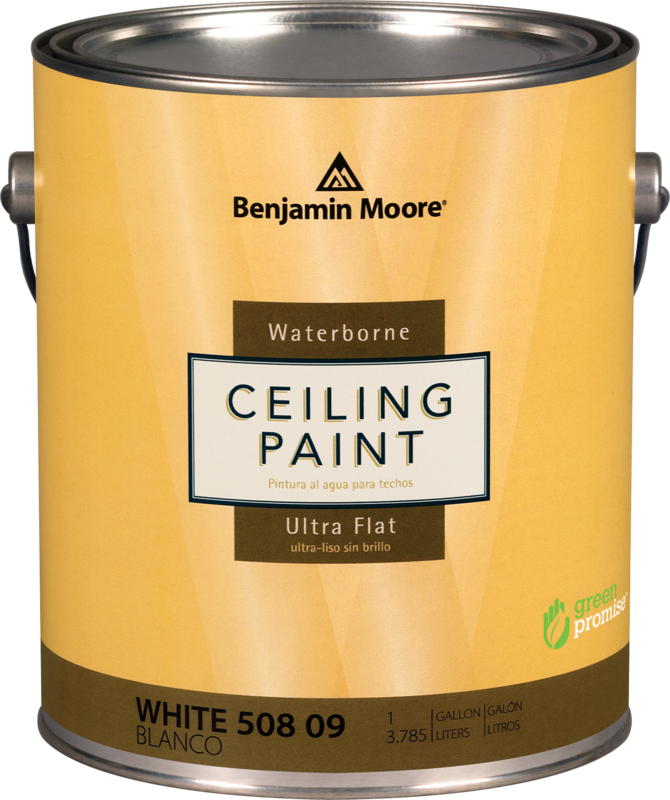 For white ceilings choose Benjamin Moore Waterborne Ceiling Paint - our flattest finish which hides imperfections for a flawless finish. 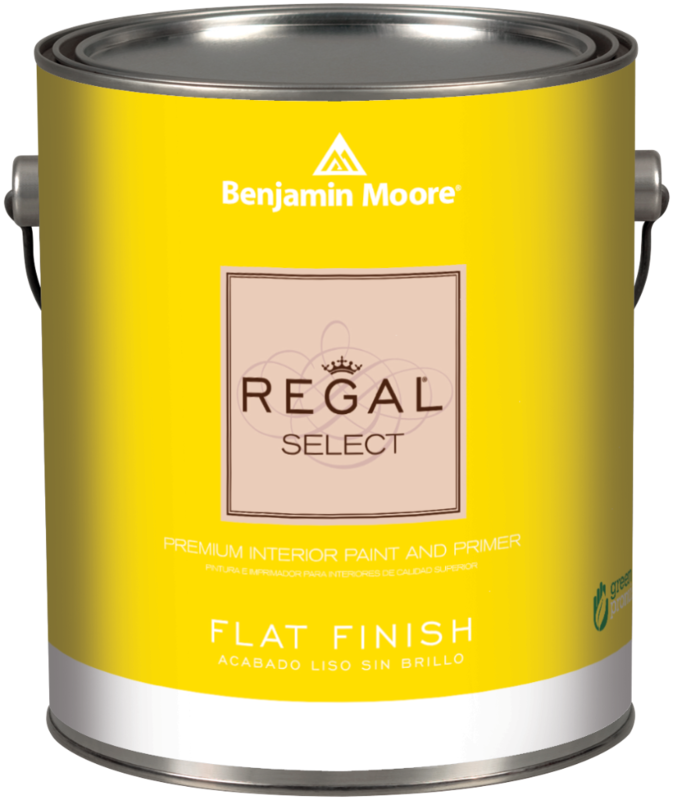 If we've inspired you to go for a colour, choose Regal Select Flat, also an ultra-flat finish that is available in all of our 3,500 colours. Both paints are low spatter and benefit from seamless touch-up so are ideal for any ceiling project. Interior design expert Candice Olson talks to Sharon Grech about choosing colour for ceilings.